A Mum-of-two, who has overcome an aggressive form of cancer, is calling on people in Cheshire to sign up to one of this year’s Cancer Research UK Race for Life events taking place across the county. Business woman Ruth Naylor, 34, of Hale, who has been successfully treated for Hodgkin’s Lymphoma – a form of blood cancer – will be lacing up her trainers to take part in Race for Life 10k at Tatton Park on 23 June this year. She wants as many people as possible to join her and raise funds for Cancer Research UK. 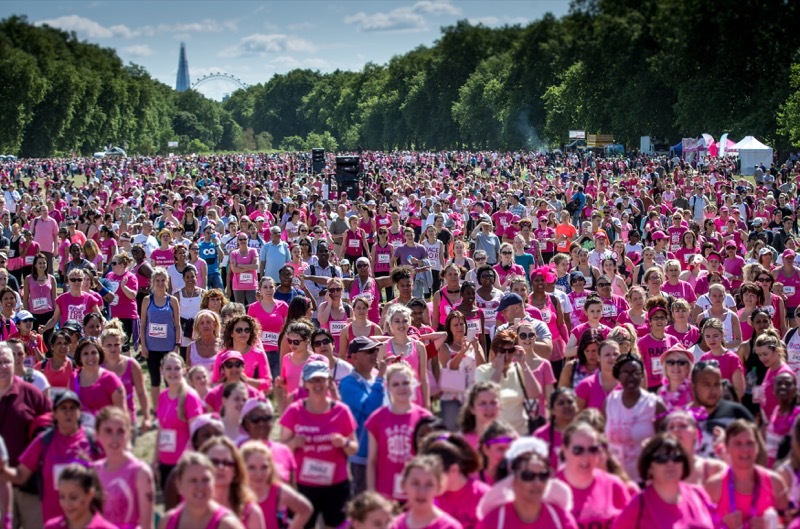 Cancer Research UK’s Race for Life, in partnership with Tesco, is an inspiring series of 5k, 10k, Pretty Muddy events which raise millions of pounds every year to help beat cancer by funding crucial research. This year, for the first time, the charity is inviting everyone in Cheshire – women, men and children - to join the Race for Life. Ruth knows only how important Cancer Research UK’s work is after her own cancer diagnosis in August 2017 and after losing her mother Louise, aged just 47, to liver cancer 12 years ago. Ruth was in the throes of setting up her new marketing business when she found out she had cancer in August 2017. She had initially put her exhaustion down to her busy life-style as mum to Eva, now 4, and Oscar, now 2. But after feeling exhausted for several weeks she went to the GP and further tests revealed she had a large tumour intertwined between her lung and her heart. A biopsy showed it was Hodgkin’s Lymphoma. Ruth said: “Hearing the words ‘it’s cancer’ was the worst shock of my life. I just couldn’t believe it was happening to me. I kept thinking of my children. You are faced with losing everything and your perspective of everything changes. “It was a very scary time, but I was convinced that I’d try and make some good come out of my cancer diagnosis by sharing my experience and supporting the work of Cancer Research UK. Ruth began eight months of chemotherapy treatment followed by radiotherapy at The Christie Hospital in Manchester. She said: “Chemotherapy for me was brutal. It took me away from my home, my children and my life for months on end. I’ve had four significant scans and biopsies along the way and the anxiety related to waiting for results is pretty crippling. I lost weight due to being unable to combat the sickness side-effects from chemo. I lost my hair, eyebrows and eyelashes about six weeks into treatment so have found this very difficult to deal with. During her treatments Ruth set up a highly successful Instagram account documenting her treatment which now has thousands of followers and has spoken at various Cancer Research UK events as well as meeting scientists from the charity. Former corporate banker Ruth finally found out her treatment had been successful in May last year and signed up to take part in Race for Life to celebrate being cancer free. She said: “It was such a shock to hear the words that I was all clear. I never allowed myself to imagine it could happen at that point so when my consultant opened the conversation with the words “this is the best part of my job….” I quite literally couldn’t believe him. It was completely magical! “What got me through those 10 months of treatment and beyond was been being open about my disease. Talking honesty to my friends, family and, through social media, complete strangers. I posted regular updates on Instagram and wrote about my experiences, good and the pretty bad along the way and tried to put a relatable face to the disease. Ruth was so determined to make a difference that she ended up completing both the 5k and the 10k Race for Life at Tatton Park. She also spoke on stage and sounded the starter hooter to set the participants off. She said: “Taking part in Race for Life was very emotional but also such a positive experience. I’d been to look round a Cancer Research UK-funded laboratory the week before and met some of the scientists in Manchester to hear about the work they were doing so it was even more poignant to be helping to raise funds on a field in Cheshire after that! “As you are going around the course you get to read the signs on people’s backs saying who they are taking part for. So many people take part in memory of a loved one they have lost to cancer or a friend or family member who is going through cancer treatment. There are also people, like me, who have survived cancer taking part. Ruth is now preparing to take part in Race for Life once again at Tatton Park in June 2019 with her friends who have supported her during her cancer treatment at Tatton Park in June. She has also been getting used to life after cancer treatment which has included regular scans to check she remains cancer free and rebuilding her fitness. Ruth is also an ambassador for Cancer Research UK and is setting up Manchester Beats Cancer a fundraising committee made up of businesses to help raise funds for vital research in the North West. She said: “Going on this rollercoaster of a cancer journey has changed my life in so many ways. I’ve met some amazing people going through cancer who have helped to support me during the last year and a half. Sadly, not all of them are still here. That’s why I’m determined to try and improve things. Cancer survival rates have increased but there is still more work to be done. 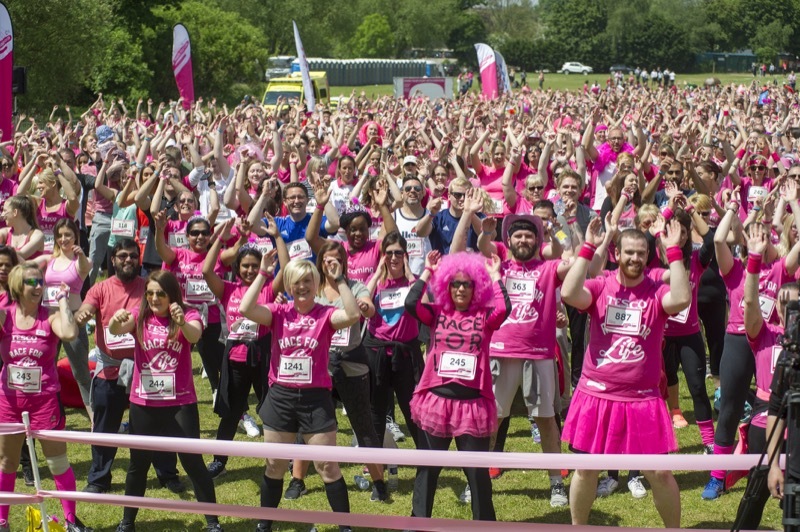 By taking part in Race for Life and walking, jogging or running 5k or 10k or even doing the Pretty Muddy obstacle course people in Cheshire can help raise vital funds. “This process and facing your own mortality is a real mental challenge, regular exercise has really helped my positivity and outlook. I’m now looking forward to running Race for Life 10k and am determined to help others by raising money so Cancer Research UK can ensure even more men, women and children survive. “I feel like I’ve been gifted a life back. My life has been on hold to say the least for a long time. I’ve been unable to make plans, to discuss the future as I would have wanted to, but all these opportunities are now in my hands. I feel like I can achieve anything, like there’s so much more fun to be had, adventures to go on and places to see. I want to do it all! “My cancer fight might be over for now, but I can now fight on behalf of others.” Thanks to the generosity of people taking part in Race for Life and its supporters, Cancer Research UK was able to spend over £28 million last year in the North West on some of the UK’s leading scientific and clinical research - helping more men, women and children survive the disease. 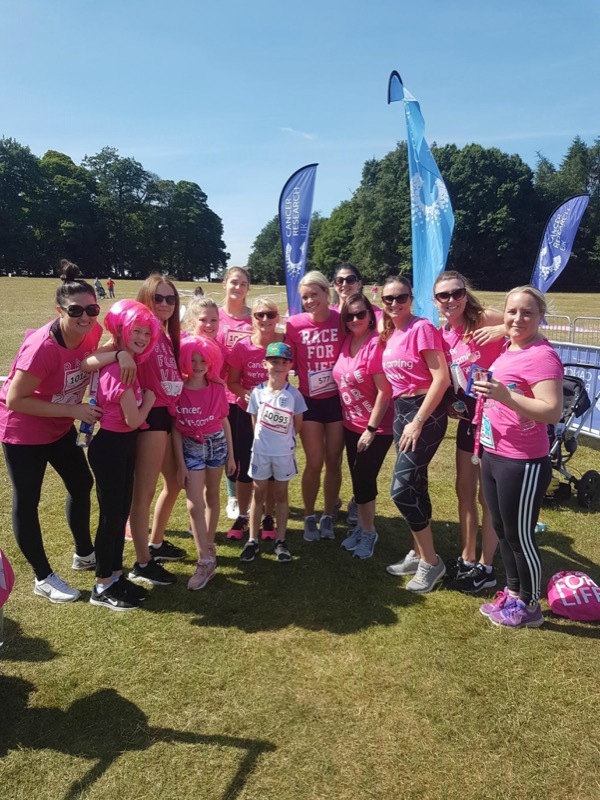 Laura Cass, Cancer Research UK’s Race for Life Event Manager for Cheshire, said: “Our Race for Life events are fun, colourful, emotional and uplifting. They help people with cancer by raising money for research, including clinical trials which give patients in Cheshire access to the latest treatments.